It's alright though, because I finally smashed it out a week ago, despite problems with pockets and zips, and it was cute enough to wear to work! Hooray, all's well that ends well and all that rubbish. I'm jumping back on track now, with some nice and easy stretch dresses to catch up quickly. I've heavily modified Vogue V8648 (what else?) 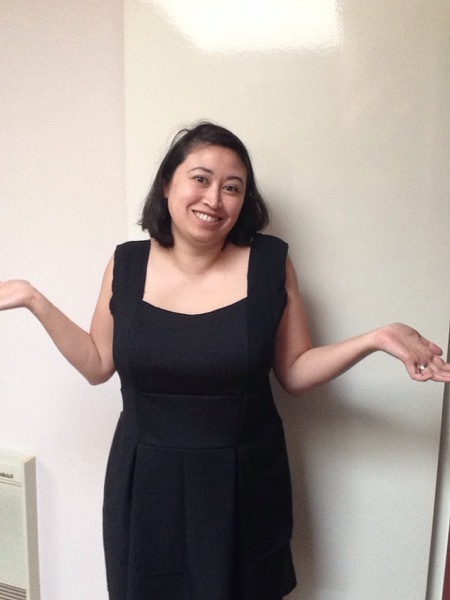 using a black stretch suiting (I think - it was a remnant) with black ponte centre bust and back panels (mostly because I didn't have enough of the stretch suiting!) and omitted the zip entirely. It was so quick to make up when you're not worried about lining or zips. The longest part was the skirt, which I box pleated, cursing my decision to do so the whole time! It's such a pretty and flattering style, but takes such a long time to pin, and then match to the seams of the bodice... Oh well. It looks great, and thanks to the stretch, is super comfortable and flattering to wear. So that was the first quick win. The second will be much the same, but navy blue ponte with matching stretch suiting on the bust, back and centre skirt panels. The skirt will be a standard pencil skirt instead of the box pleats though, because I was running really low on my main fabric - the pitfalls of shopping in the remnant bin. The stretch suiting for this dress is leftover from some hideous pants that I turned into a skirt. Up-cycling *and* DIY - win! 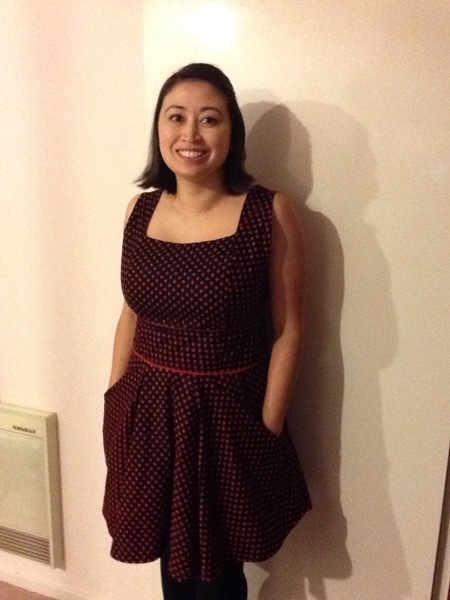 I'll post more photos later, but for now, here's the polka dot dress in all its kitschy cuteness, and the black one pre-fitting. Until next time!